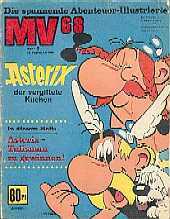 Christian Koehn has noticed that the edition of Kleopatra in the German journal MV68 is based on the Dutch printed version! 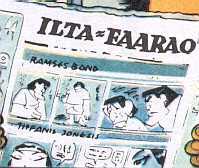 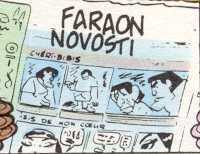 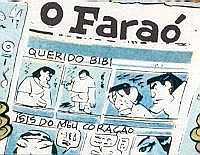 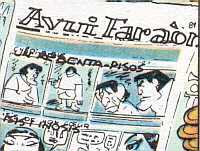 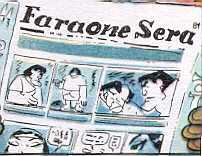 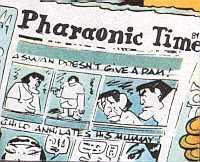 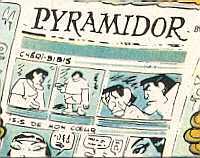 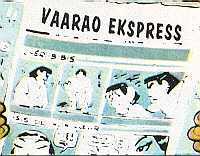 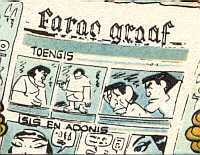 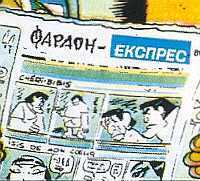 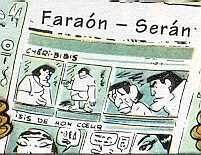 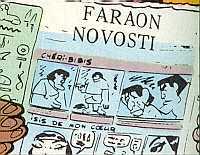 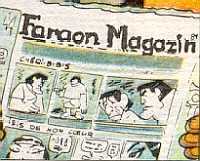 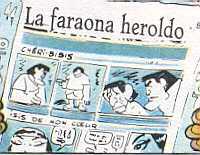 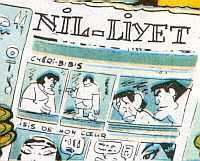 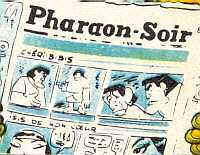 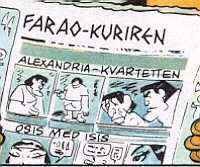 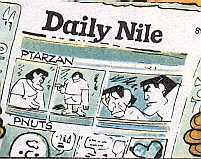 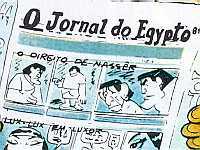 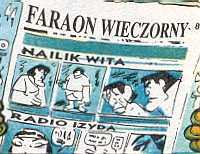 Note the Toengis and Isis en Adonis comic strips in the newspaper. 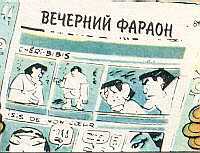 The Fench original has Chéri Bibis and Isis de mon coeur (see below). 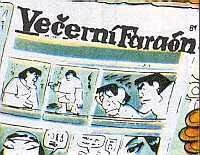 Christian collects the ingredients from the frontcover of the books in the various translations. 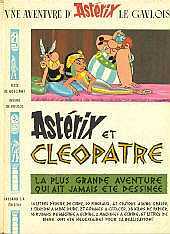 Hans Selles is the proud owner of a Farsi edition of Cléopâtre. 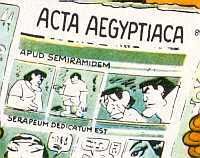 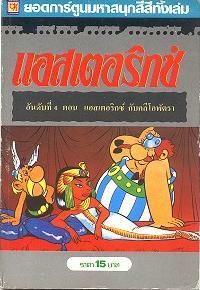 The Virtual Asterix Museum displays a Thai edition of Cleopatra. 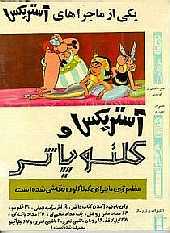 TJK owns a Hindi Cleopatra. 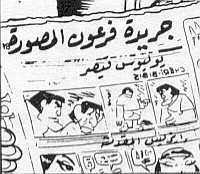 Isn't she beautiful? 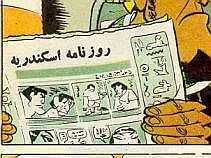 I now collect these explanations! 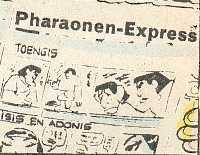 Catalan [*] Avui Faraòn .. ..
Farsi [*] Rozname Iskendrie = 'le Journal d'Alexandrie' .. ..
German MV68 [*] Pharaonen-Express Toengis Isis en Adonis see Dutch! 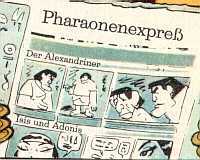 (Attic) Greek [*] Alexandrini Iho .. ..
Swedish (old) [*] Faraoexpressen Alexandrinerna Isis och Adonis see German titles?